Rocky Mountain Paper Crafts: Just For Fun! 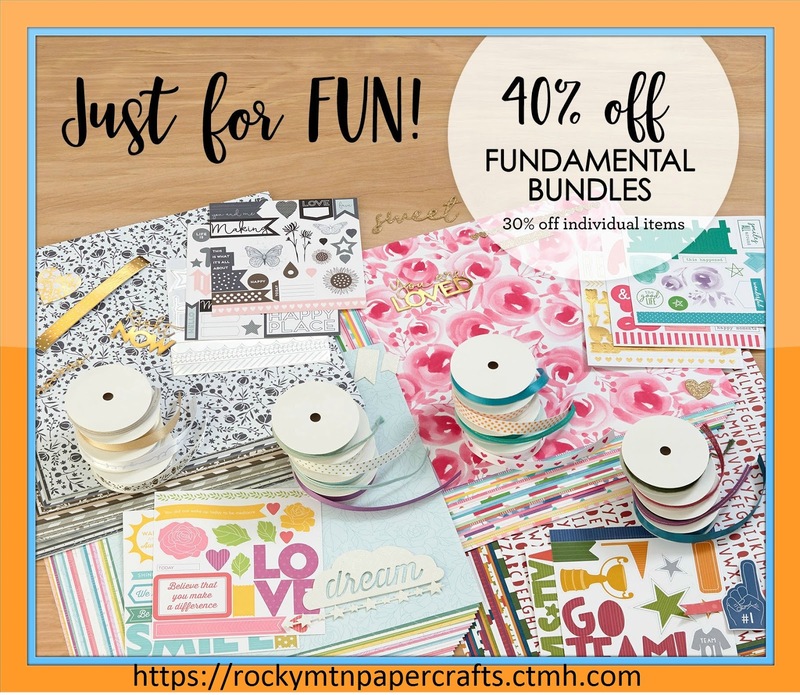 Fundamental Bundles are 40% off in November! This is a perfect time to stock up on the basics! If you prefer to purchase individual items, you can still get a great deal at 30% off! What are Fundamentals, you ask? Fundamentals include paper packs, ribbon and complements in the gorgeous color families offered by Close To My Heart. You can view all of the Fundamental items HERE!